Fine Tubes (www.finetubes.com) a leading metal tubes manufacturer specialising in the aerospace, medical, chemical process, nuclear, power and oil and gas sectors has cause to celebrate as a 10 year project sees results. 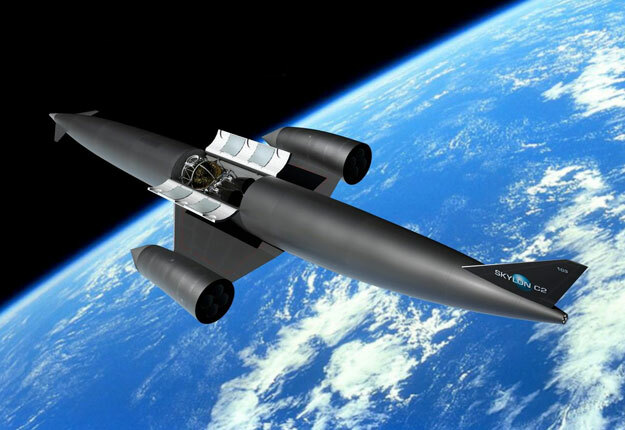 After a decade of work with Reaction Engines - developers of Skylon, one of the world's first reusable space planes - Fine Tubes can announce that testing of its contribution has been a success. The company manufactured over 2000km of tubing for Skylon, with each tube at a wall thickness of just half the diameter of a human hair. Reaction Engines' objective is so challenging that a lot of goals had to be met; the tubes had to be lightweight, highly heat and pressure resistant, and have a strength that could cope with thermal expansions. The resulting heat exchangers are 100 times lighter than existing technologies and enable the cooling of airstreams from over 1000°C to -150°C in less than 1/100th of a second. Dr Robert Bond, Corporate Programmes Director of Reaction Engines commented: "No one else has managed to create heat exchangers like this before, due in part to the fact that the specifications for the components are very demanding. There are a few other companies which can produce the kind of high tech tube we need but the Fine Tubes product is extremely high quality, meeting all the project specifications and we are very pleased with its performance." Fine Tubes used Inconel, a nickel alloy that has excellent heat resistance. Because of the amount of tubing required, it had to be as lightweight as possible. Inconel is a difficult material to shape and the thinness required meant it was easily damaged, so to fulfil Reaction Engines' requirements Fine Tubes installed completely new equipment for the tube cleaning process at its tube mill. Now, testing of the heat exchange system for SABRE - Skylon's Hybrid Engine - has proved 10 years of work a worthy cause for Fine Tubes. The testers confirmed that all demonstration objectives were met for the SABRE engine's pre-cooler heat exchanger, and found the cooling technology to be frost-free at the crucial low temperature of -150°C. Dr Mark Ford, ESA's Head of Propulsion Engineering, said: "One of the major obstacles to developing air-breathing engines for launch vehicles is the development of lightweight high-performance heat exchangers. With this now successfully demonstrated by Reaction Engines Ltd, there are currently no technical reasons why the SABRE engine programme cannot move forward into the next stage of development." As soon as Reaction Engines hits its next funding goal, work will continue towards the next phase of testing in building the prototype of a fully functioning engine. Ronen Day, Managing Director of Fine Tubes said: "Developing a lightweight heat exchange system was one of the major issues standing in the way of the space plane's development. With Fine Tubes' contribution now proven by successful testing, Skylon is set to be a major breakthrough in the aerospace sector." After this testing success, the technologies involved in Skylon's SABRE engine are now being applied to other projects, for example the second phase of the LAPCAT (Long-term Advanced Propulsion Concepts and Technologies) project. The study intends to investigate further technological developments that can reduce long distance flights to under four hours.